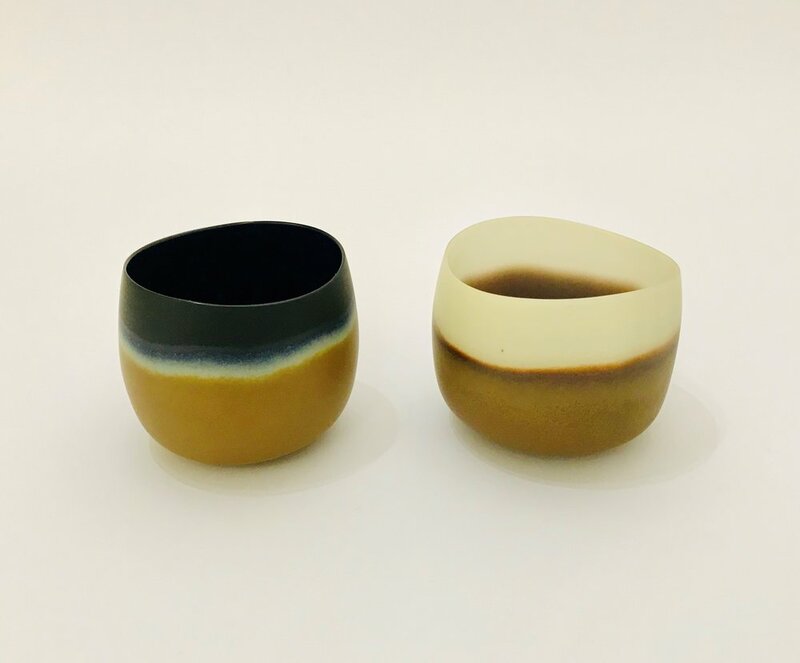 My works are small cups inspired by the holding of a vessel in the hand. They are made of blown, cut and polished glass. The surface of cups that polished matte finish is cool and smooth to the touch and a delight to hold in the hand. In Japan, tea bowls used in the Japanese tea ceremony are different things from ordinary teacups and its tea bowl is a part of the art as the tea ceremony. The recent works specially inspired by a black pottery tea bowl ‘Kuro Raku’ are exploring a joy to behold and a delight to hold in the hand. I am aiming the expression of texture like the other materials by a glass works, for example weaving, stone, pottery and old things. I am thinking that is one of the exploring the possibility of the glass. Working with glass, I am tracing the narrative of its history and tradition.